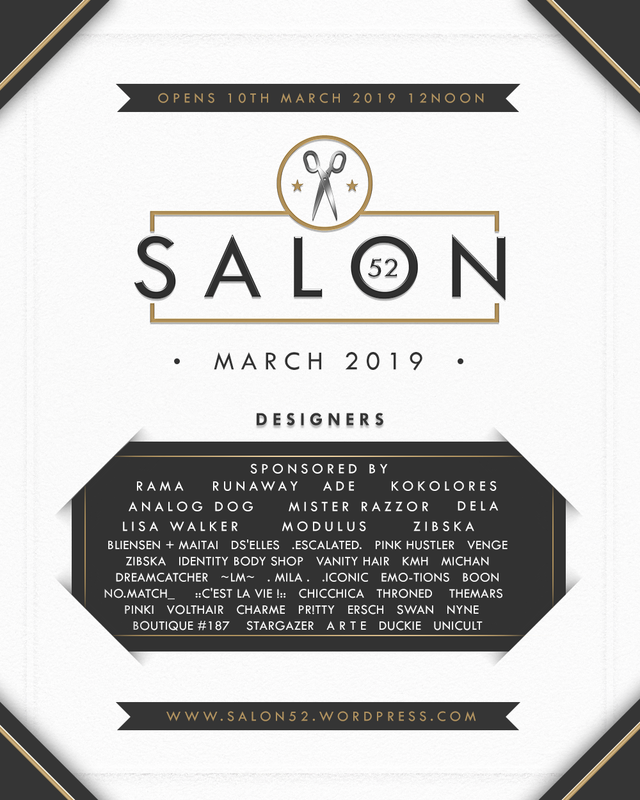 Salon 52 is a hair, and hair related, bi-monthly event which opened it’s doors for the March round at noon slt today. Featuring new hair, hairbases, brows, lashes and hair accessories there is sure to be something for you at the event. Love 75L$ per pack, 50L$ per pack or Love VIP members (Group join is 400L). Fat pack available. Escalated has a hunt happening plus hair special sale for Femboy hunt. This is out at Astrology as well for 50L as of this posting. Hair is 50L for this sale!